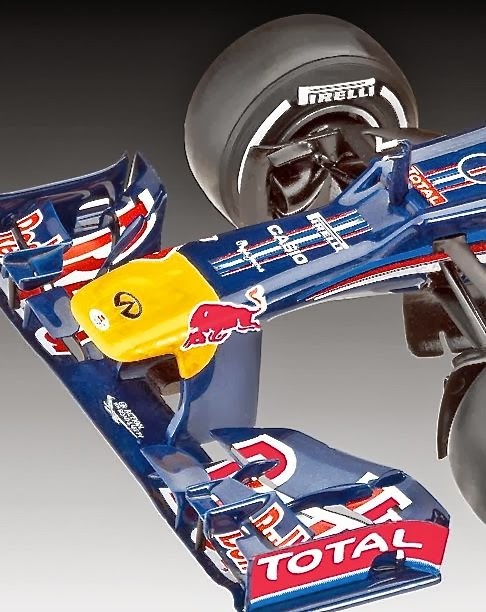 Another excellent motor racing kit from Revell, this is a neatly-executed 1:24 scale Renault Red Bull Racing Formula 1 car, as driven by World Champion driver, Sebastian Vettel. David Jefferis: This is an attractive model, shown off nicely in the red, blue, and yellow markings of energy-drink manufacturer and backer, Red Bull. The kit comes well up to Revell’s usual standards, though application of the decals will take time and patience, especially where laying them onto complex compound curves is concerned. 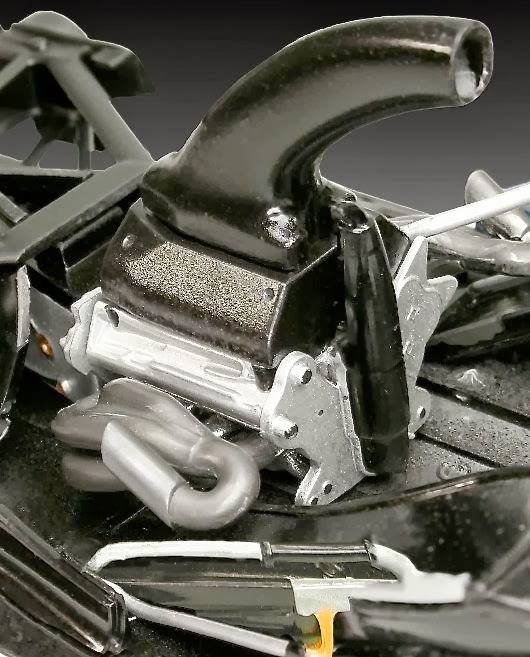 Actually, there’s perhaps a case here for Revell to repeat the excellent finishing technique used in its easy-kits. Decals in these are pre-printed directly on to the moulded plastic for the consumer who wants a model in a hurry - and very good they look too. I’d suggest that there’s a case here for offering the basic colours in pre-finished form, perhaps with some fine-detail decals supplied to add if you wish. Or maybe I’m plain lazy - yep, definitely that, and/or time-poor with never enough hours in the day. 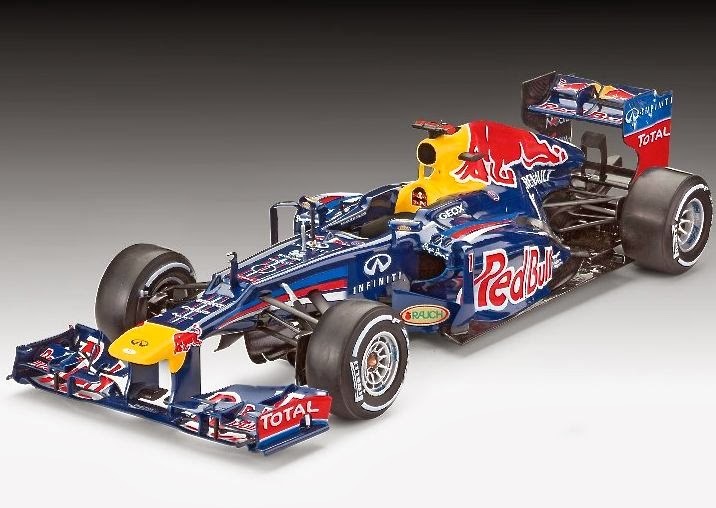 The Red Bull Racing RB8 is the third evolutionary stage of the RB5 design, developed by Adrian Newey. 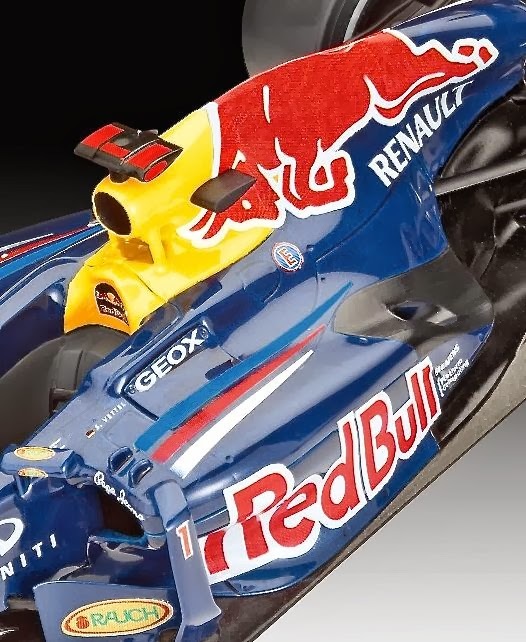 The RS27-2012 engine comes from Renault, as does the gearbox. 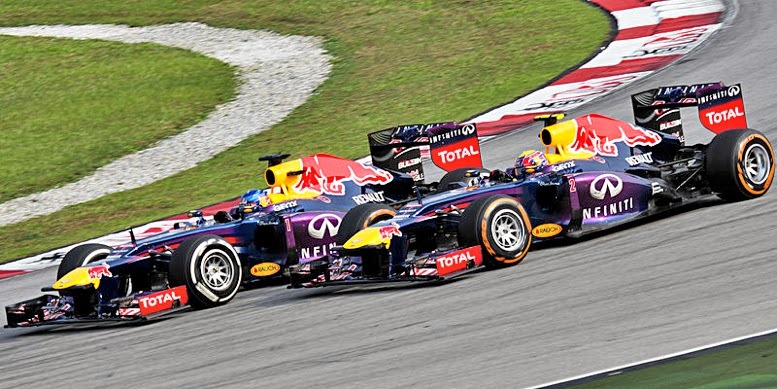 German driver Sebastian Vettel is presently F1 World Champion, having clinched the championship no less than four times in succession - 2010, 2011, 2012, and 2013. 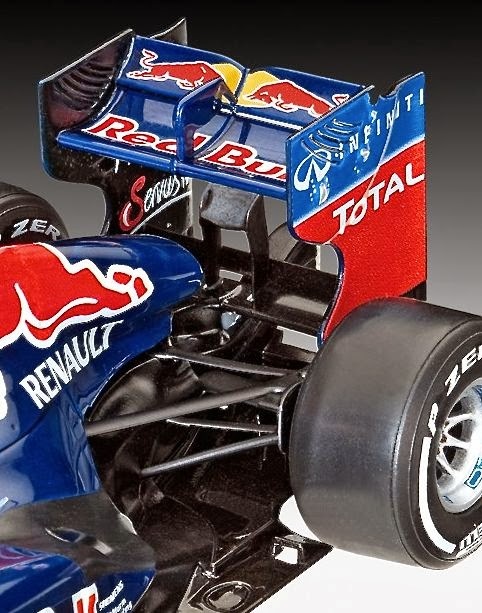 Revell 1:24 scale Red Bull Racing F1 car in Sebastian Vettel markings here.